Rolands Irklis is Chairman of Public Utilities Commission (PUC) of Latvia since February 2016. From 2011 to 2016, he has worked as Commissioner in PUC. He also worked as a Consultant for Energy Community Project for Secondary Electricity Legislation in Ukraine (2015-2016), Sworn advocate (2010-2011), Legal advisor of Bank of Latvia (2007-2010). 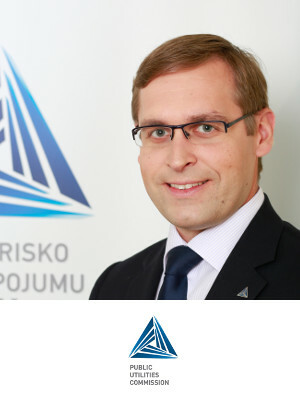 His main achievements are related to Latvian Electricity market liberalization from 2011 until 2015 and Gas market liberalization from 2014 until 2017.